To be honest, if there’s one line of our covenant I’d especially like to rewrite, it’s this one. Not because I think you shouldn’t volunteer your time, but because you’re not just volunteers. I don’t feel like this line really captures the vision of what sort of community culture we are building. That’s ok, though, because it’s actually indicative of how much we’ve grown over the past 12 years (that’s how long it’s been since the covenant was written!). You are not just volunteers performing a task, but rather you are putting your faith in action. And you are not just serving the congregation, you are also serving our mission to make the world a better place. Being a member of UUCL is a spiritual endeavor. 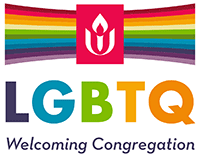 As a member of this Unitarian Universalist community, you are part of a shared ministry. I believe you all have a calling, and when you discern what that is, you can serve the church, and the larger community in which we live. And you can do this with joy and enthusiasm because you are also serving your spiritual self. Ultimately, if we’re not developing our spiritual selves, then our mission cannot be fulfilled. In a shared ministry, we identify each individual’s strengths and challenges so that we can play on each other’s strengths and support one another’s growing edges. We develop an appreciation of our own, and each other’s, identities and cultures, understanding that it is our differences that will help us grow in creative ways. This is nothing less than a collaborative, interdependent process that requires us to be in covenant with each other as we work towards our mission. It’s a process that will serve us each as individuals, as a spiritual community, and help the world work towards Beloved Community. We have a committee and governance structure set up at UUCL to help us organize our work. If you are not already on a committee, think about which area you feel most inclined to do your sacred work in: Worship, Religious Exploration, Stewardship, Communication, Social Justice. Try something out until you find that thing that feeds your soul. If you’re already doing work, ask yourself to be sure it is the work you feel called to do. If it doesn’t bring you joy, let’s talk about it and see if we can figure out what does. We can only do our best work as a community when everybody is doing their best work. So, don’t just volunteer because you feel you have to- nobody will benefit from that. Spend your precious time doing something you feel called to do and let’s build this Beloved Community with our best, most joyous selves!